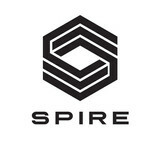 We are a full service flooring store serving the needs of commercial and retail establishments as well as home owners, builders and contractors. 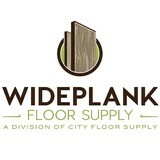 We sell and install hardwood, tile & stone, carpet, vinyl, and other flooring products. We offer personalized in home service, free in-home estimates and prompt professional installation by expert installers. 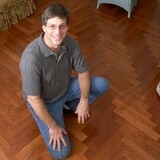 Our History: Derry Weaver, the owner of D&S Flooring, started installing flooring as a teenager. 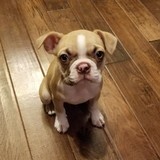 He evolved into a very successful sales career with a reputable flooring store in Lancaster County, PA. He established many close relationships with Builders, Contractors, Commercial Establishments as well as home owners in the community. Our Location: D&S Flooring is located along 322 in Lititz next to Esbenshade's Greenhouses. 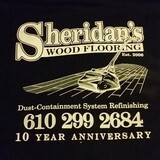 D&S Flooring serves all of Lancaster County, Berks County, Lebanon County and many other areas of South Eastern PA. Derry, his Wife Sherri and their 5 children are very active in the work of Ephrata Community Church. We care about our community. Come visit our store today! Miller Flooring Company specializes in sales and installation of wood, carpet, ceramic tile, laminate flooring, and athletic surfaces. We also specialize in dust free refinishing of hardwood flooring. Miller Flooring Company was incorporated in 1989 and has performed business under the name Miller Flooring Company since its inception. Miller Flooring Company is fully insured and bondable. We are an active associate member of the National Wood Flooring Association and Maple Flooring Manufacturers Association. We install over 300,000 square feet of new flooring a year and perform over 1,000,000 square feet of coatings each year. We are proud to announce that in January of 2008 we moved our headquarters to West Chester, PA. We expanded our showroom to meet out growing list of customers' demands. We now have a new design center featuring the latest in floor fashions. Miller Flooring is a mature business that has developed a remarkable reference list of satisfied customers. Our professional and quality service has allowed us to become the flooring company of choice for many local building contractors, architects, designers, and homeowners. Here at Miller Flooring we believe in not only meeting our customers' expectations but we strive to exceed them. Miller believes in building relationships with our customers and becoming their flooring company of choice. When you need quality floor covering for your home or business, think of Miller Flooring first. *Certified Bona Craftsman* Alpine Wood Floors has been a leader in hardwood floor refinishing in the greater Philadelphia area. Whether it's West Chester or Chester Springs, Malvern or Wayne, Haverford or Merion, we are fortunate to have amongst us many beautiful homes with older hardwood floors in need of restoration done with attention to detail and quality workmanship. This is our Mission - to restore your hardwood floors back to the gorgeous floors they once were. As you can imagine, there is a lot involved in properly restoring hardwood floors. It is truly an important decision which company you choose to help bring your vision to life. Properly done, your newly refinished hardwood floors should last a lifetime. Nestled in the historic 18th-century town of Lititz, Pennsylvania, Sylvan Brandt has been dedicated to perfecting the art of beautiful, high-quality antique and resawn wood flooring for three generations. Our flooring, which graces hundreds of well-appointed homes nationwide, will add charm, elegance, beauty and value to your home. We have been family owned and operated since 1960 and you will not find a company more committed to your satisfaction. To ensure that every floor is unique, we carefully select the finest timbers and reclaimed boards from local historic homes and barns. We set the standard in antique flooring by which all others are compared! We ship our flooring nation-wide and will find the best shipping option for you. Call or email for a quote today. What kinds of services do hardwood flooring installation professionals in Pike Creek Valley, DE provide? Find hardwood floor experts in Pike Creek Valley, DE on Houzz. Search the Professionals section for Pike Creek Valley, DE hardwood flooring installers and dealers or browse Pike Creek Valley, DE photos of completed installations and look for the professional’s contact information.